With great sadness we announce the passing of Ken Smyth on April 3, 2019. Ken was predeceased by his parents Bill and Alice and is lovingly remembered by his wife Sharon, sister Pat (Don), brother Bill (Trudy), brother-in-laws Garry (Maria) and Brian (Roberta), sister-in-law Debra and loving nieces and nephews. Ken was born in Virden and started his life in Elkhorn before moving to Dauphin and eventually settling in Winnipeg as a young boy. He often returned to his roots in the country hunting with his brother and visiting his aunts and uncles in Hamiota and Kenton. Growing up he played hockey and baseball and summers were spent at Clear Lake delivering papers, working at the grocery store, stables, bowling alley and the roller rink. In high school he became the drummer for The Squires and enjoyed the relationships he formed with fellow band members. After a long hiatus from drumming he went back to it in the 90’s and enjoyed playing for many years with the house band at a local Winnipeg restaurant. 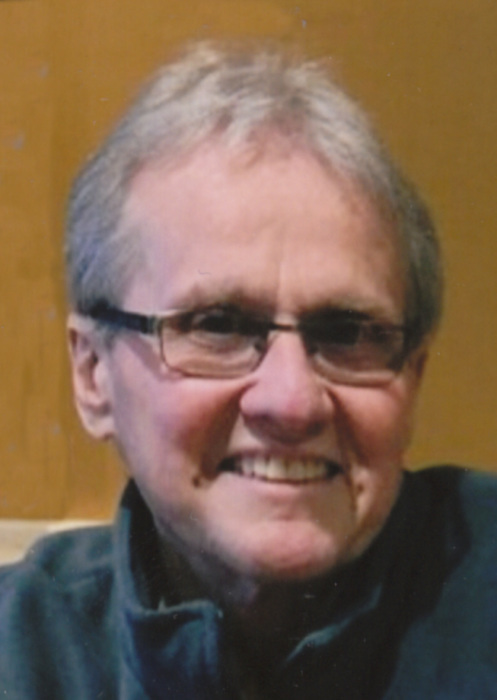 Ken worked as a manager for financial institutions in Winnipeg for 35 years before retiring. During those years he belonged to the Winnipeg Squash Raquet club and was a member at many golf courses in the province. He also loved to curl and skipped many teams at various curling clubs in Winnipeg. He was very proud of attaining his black belt in martial arts. When he was younger, winters were spent on the slopes at ski hills in the US and Canada. Ken retired to the cottage at Clear Lake where he enjoyed golfing and happy hour with the neighbours. After Sharon retired they enjoyed many happy winters in Arizona. Ken & Sharon moved to Neepawa in 2007 and when no longer able to travel they enjoyed spending time with their many friends in Neepawa. Ken enjoyed his coffee group in the morning and playing snooker in the afternoon. Family was very important to Ken and he took an interest in all his nieces and nephews lives. Many thanks to Dr. Rimmer at Cancercare, Dr. Poettcker, his chemo nurses, and all the staff at the Neepawa hospital. He was so fortunate to have all of you and knew he had the best care. In lieu of flowers, if friends wish to do so, donations may be made to CancerCare Manitoba, 675 McDermot Ave. Winnipeg, Mb. R3E 0V6. Family and friends are welcome to share and sign the online book of condolences at www.whitesfh.ca. There's still time to send flowers to the Celebration of Life at the Neepawa United Church at 2:00 PM on April 27, 2019.